Save Up To 75% On Caribbean Cruises – Same Cruise, Less Money. Save Up To 75% On Caribbean Cruises. Ahh the Caribbean… it’s one place many people say they would love to visit. And what better way to be introduced to the delights of this part of the world than to hop on board a cruise ship to do it in style? 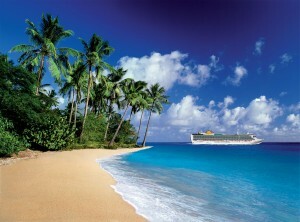 Join the VIP Club at CruiseOffers.co.uk to enjoy exclusive savings on top Caribbean Cruise holidays”. The Caribbean can take in a wide range of destinations as far as cruise holidays are concerned. These can include the Bahamas, perhaps one of the best known Caribbean destinations of all. But there are many others, as you will discover, all of which make a Caribbean cruise well worth considering. In fact it shouldn’t be long before you start to realise why this part of the world is the most popular region for cruises to visit. Be prepared to dream of the ideal holiday with blue skies, deep blue waters and warm and welcoming beaches. This is what you can look forward to when you book a Caribbean holiday. The ports of call you can look forward to will depend on the specific cruise you book and which cruise line you book it with. However there are some definite highlights you will want to look out for. Take Falmouth in Jamaica for example. This is a popular destination and several cruises include it on their itinerary. It is also home to the Dunns River Falls waterfall. Elsewhere you have Cozumel in Mexico, which translates into the Island of the Swallows. You can also look forward to visiting St John’s in Antigua, another popular spot for Caribbean going visitors aboard cruise ships. Just one of the unmissable sights here is Devil’s Bridge. You might be surprised to see some American destinations offered with many of these cruises, most notably Florida. This is great news if you want to spend a day or two ashore to enjoy some of the theme parks in the region. Indeed some people opt for cruise and stay holidays that marry a stay in Florida with a cruise around the Caribbean. For many people this really is the perfect holiday abroad. You’ll notice most Caribbean cruises are split into eastern, western and southern cruises. Once you know what to expect from each one, you’ll be able to narrow down the options you have to choose from. For example Fort Lauderdale and Antigua tend to feature heavily on eastern Caribbean cruises. Meanwhile the cruises to the southern end of the Caribbean may take in such delights as Dominica and Grenada. Head to the west and you can look forward to seeing ancient Mayan sites in places such as Cozumel in Mexico. The more you delve into the possibilities available with Caribbean cruises, the more you will realise just how much they offer you. For example, let’s take a look at a typical itinerary for a fourteen day cruise disembarking from Barbados and returning to the same place. This particular cruise offers a full day to explore each of the following destinations – Antigua, St Maarten, Saint Vincent, St Kitts, Dominica, St Lucia and Tortola. As you can see there is plenty of opportunity to go ashore at all these destinations to sample the delights of each place. You will also get lots of time to relax on board the ship as you cruise from destination to destination. Another example of a Caribbean cruise is one that focuses on the western part of the Caribbean, using New Orleans as its base. From New Orleans you travel to Costa Maya in Mexico, before moving on to Belize, Honduras, Cozumel and back to New Orleans again. While some Caribbean cruises last for at least fourteen nights, it is possible to go on a shorter one. A great example is the five night cruise offered by Royal Caribbean. This sets out from Fort Lauderdale, so it’s ideal if you want to spend some time in Florida as well as embarking on your cruise. Despite the much shorter cruising time you’ll still get to see parts of Haiti and Jamaica before you return to Fort Lauderdale. 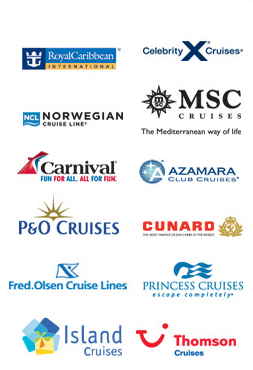 The good news is there are several well known cruise lines that provide Caribbean cruises for you to choose from. It should not come as a surprise to learn the aptly named Royal Caribbean offers cruises of this type. They can take you to far flung destinations including Barbados, Antigua and Haiti to name just three. Virgin is another company offering cruise deals to the likes of Barbados and Mexico, another popular spot on a Caribbean cruise. P&O Cruises offer deals to take you to the southern and eastern parts of the Caribbean, lasting for anything from 14 nights to much more. Elsewhere you can also take this type of cruise with Norwegian Cruise Line. NCL, as it is often abbreviated, may not be the most familiar of cruise lines, but they were first in line to whisk people away to this part of the world some four decades ago. Whatever part of the Caribbean you want to visit, you are sure to find a trip you will enjoy here. They certainly have a large range of Caribbean themed cruises to consider. If you can picture yourself enjoying all that a Caribbean cruise has to offer, make sure you sign up for our mailing list. You’ll receive all the latest deals for Caribbean cruises and much more besides. CruiseOffers.co.uk – Enjoy big savings on quality Caribbean Cruises.